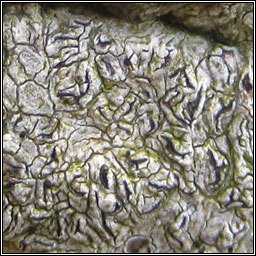 Whitish-grey thallus, slightly shiny and often wrinkled or cracked. 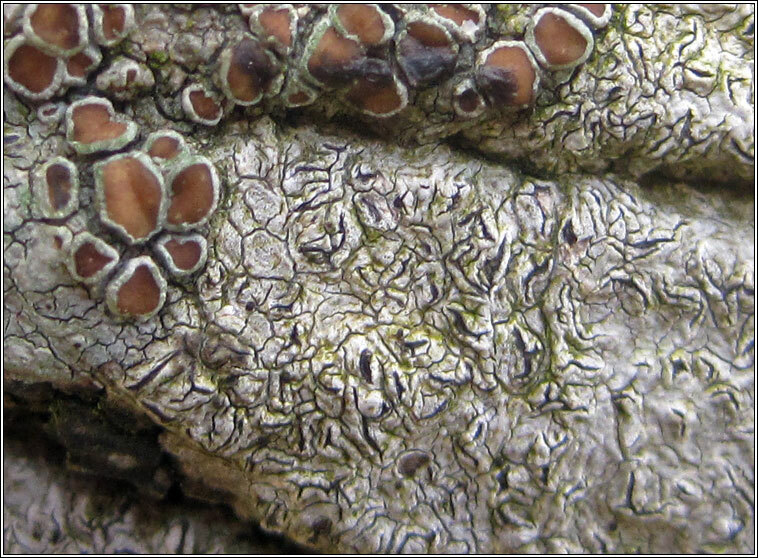 Lirellae serpentine, usually star-shaped and +/- pruinose. Thalline margin often elevated, carbonaceous margin flat with narrow disc. 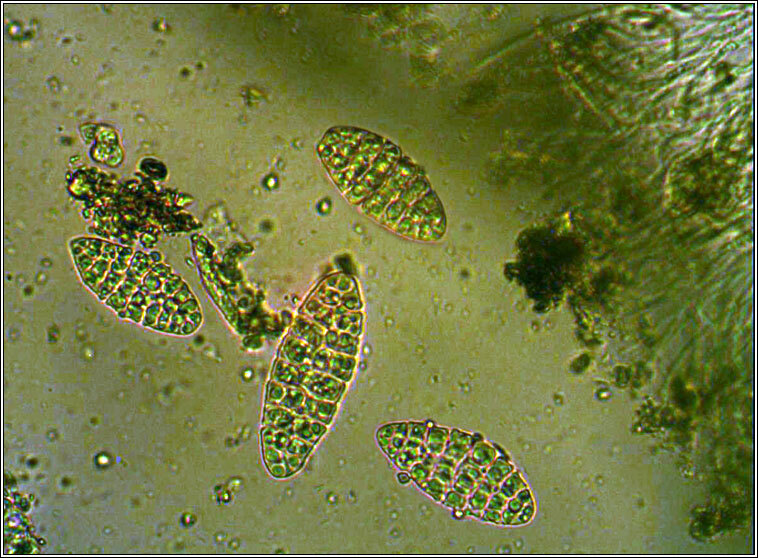 Spores are colourless, muriform, (20-)25-50(-60) x 12-16(-20) µm. Micro photo below. 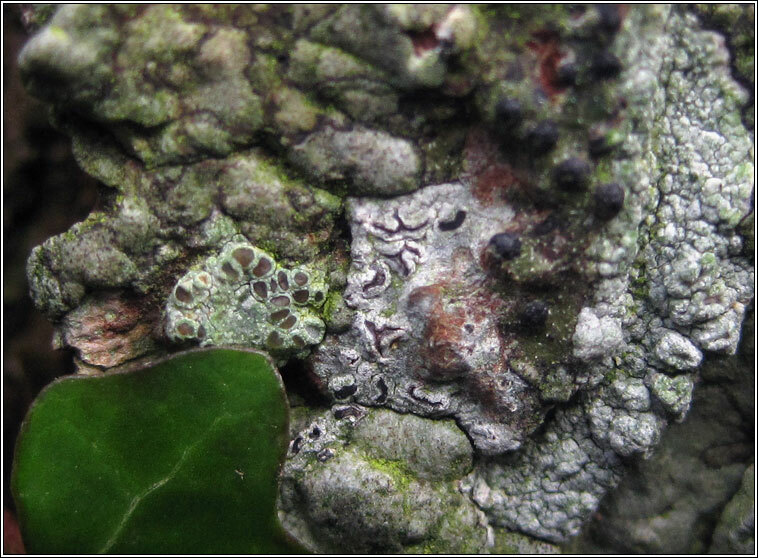 Graphis scripta and Phaeographis dentritica have septate spores.